Fetter & Son Trucking offers many positions with a steady and challenging career path. We have tremendous opportunities for those self-starting people who are looking for a challenge and are ready for a change. 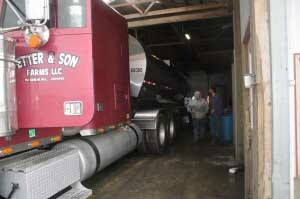 We hire truck drivers, diesel mechanics, as well as tank washers. If you want a fast paced, high performance work environment, we have the job for you. We offer competitive wages as a pleasant work environment. We pay mileage pay. Group medical, life, disability, and dental insurance is made available for purchase. We run anywhere in the United States but mostly on the East coast. We are Kosher Certified and have loads available at all times. Have questions or want to have an application sent to you? Call Today!